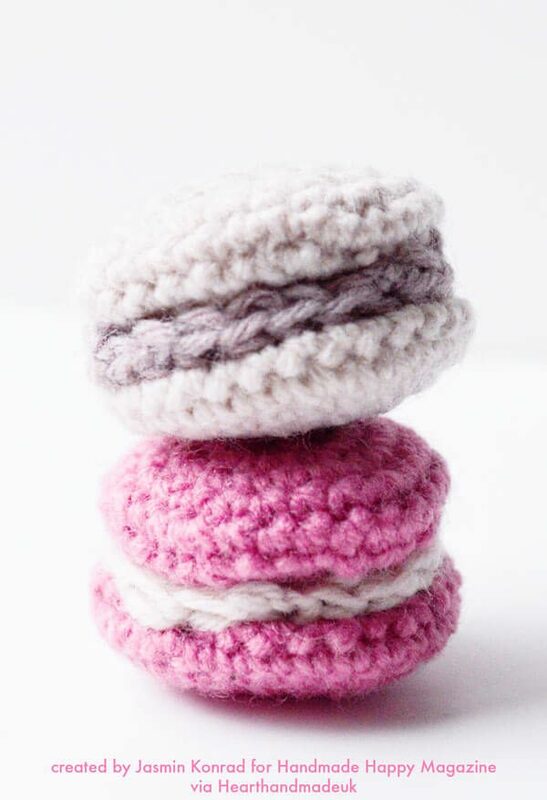 Learn How To Crochet Macaroons! 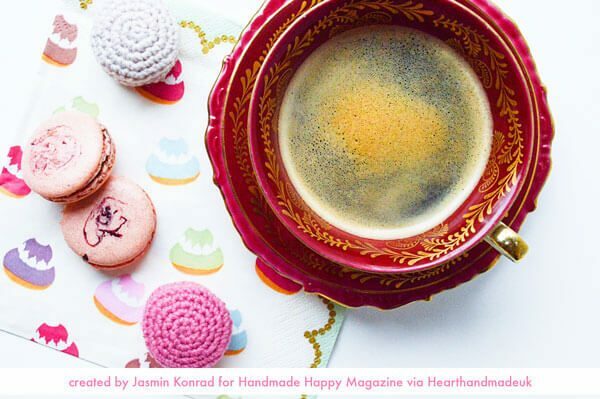 I’m very excited today to share this gorgeous post from Handmade Happy Magazine, by Jasmin Konrad. I’m also really happy to be adding more free crochet patterns to the site ^_^ and more adorable food amigurumi! 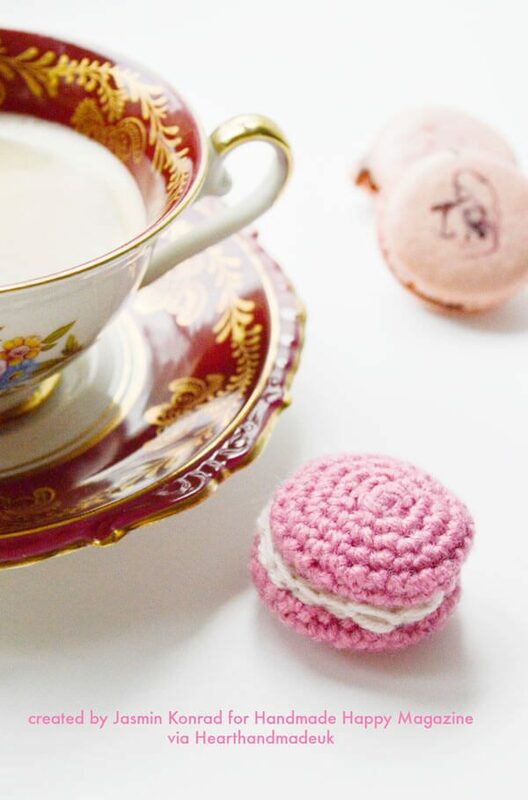 Is there anything sweeter than lovely macarons? Well, I don’t think so, that’s why I made a crocheted version of this fantastic pastry. You first need to make the two halves of the macaron. Choose one of the colours and work both sides with the same colour. The pattern is worked in spirals, so there is no slip-stitch on the end of each round. You may use a mark to see, where the current round started. Fasten off and fill both halves with wadding. Do not stuff too much wadding in, you want to keep your macarons soft. Then sew them together with the second coloured yarn. Have you seen the free magazine yet? You can view it online or download for free! This macaroons are very sweet:) Thank you. These are really cute and without too much modifying they could be made into a little cozy for a lip balm tin. (I have one which is a crocheted cherry bakewell and is about the same dimensions). These are so adorable! I can’t wait to my little girl is old enough to play house! How cute would these be in her little kitchen! 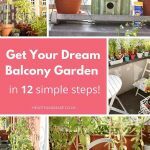 I have recently started a new link party with a few other amazing bloggers and we would love to have you stop by and link this project up with us! Our party goes live Tuesday night at 7pm CST. Claire your adorable crocheted macaroons caught my eye at the Lou Lou Girls Party. Perfect for a little girls play kitchen! This is just soo cool!! I love this idea! Thank you for sharing! I love how these came out! The colours and pictures are fabulous. I would love to have these for my daughter’s tea parties. These are so adorable and would make great stocking stuffers for my daughters. Thanks for sharing at the This Is How We Roll Link Party on Organized 31. So fun! My daughter loves macaroons! This the perfect summer project! Thanks for linking up with Funtastic Friday! So adorable. I’ll be making these for my neighbor’s children. Thanks for sharing at the This Is How We Roll Link Party. I’m making these this weekend. They’re so cute! 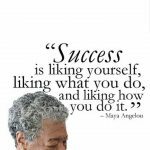 Learn All About Having Your Own Style And Learning To Love It!